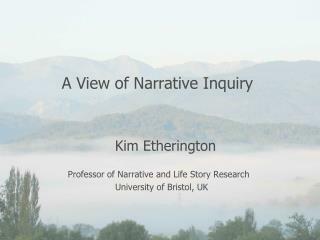 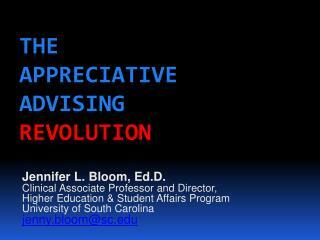 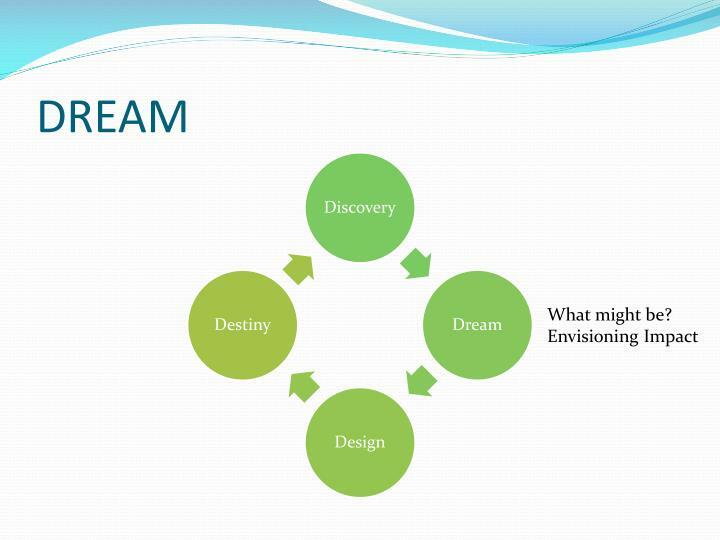 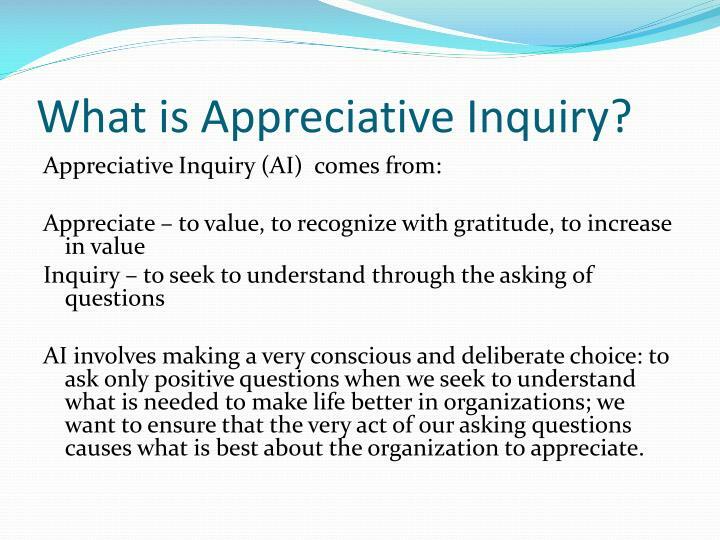 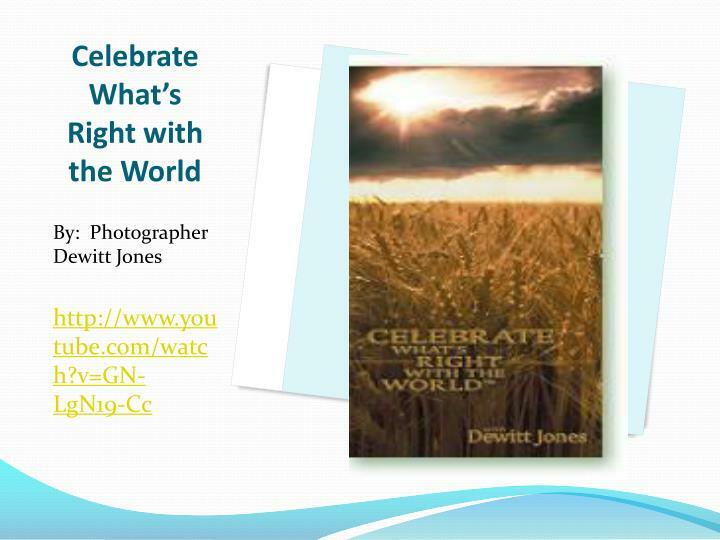 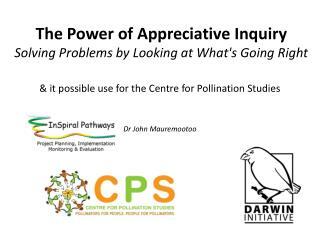 The Appreciative Inquiry Process. 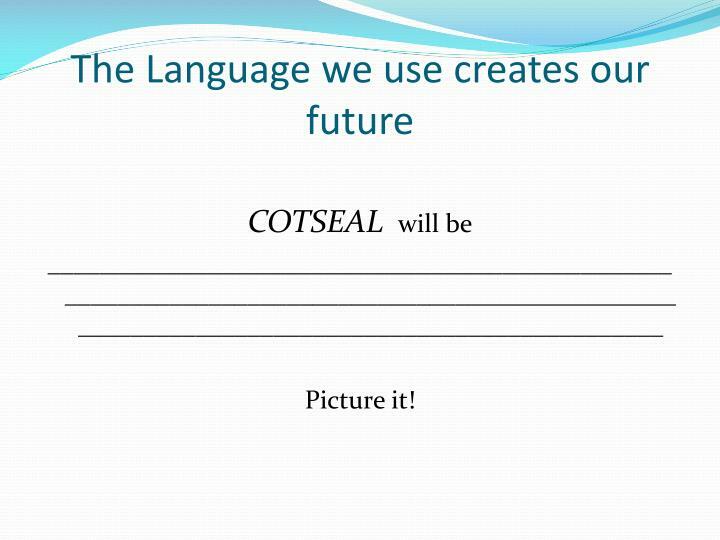 COTSEAL PAST, PRESENT and FUTURE. 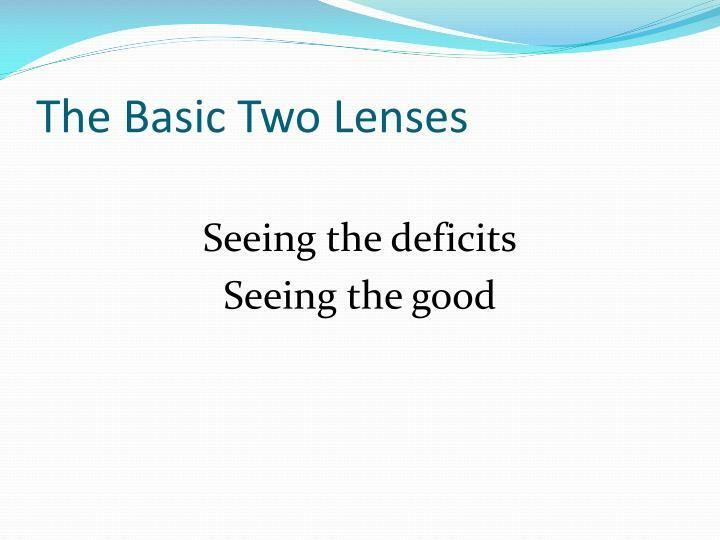 The Basic Two Lenses. 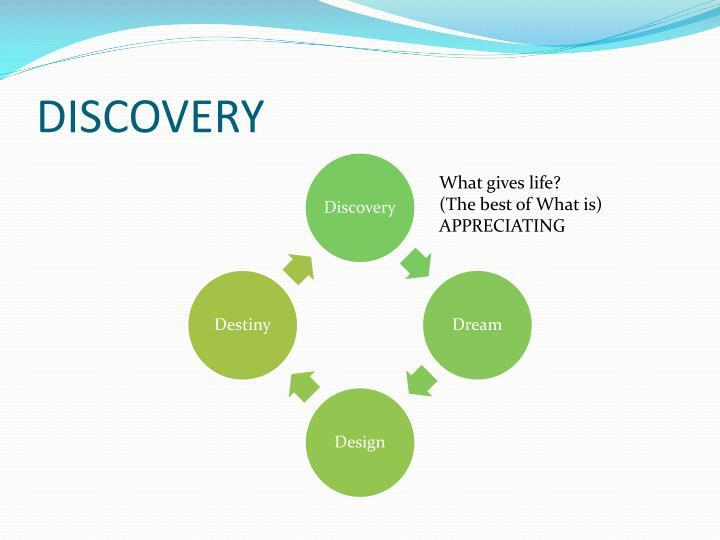 Seeing the deficits Seeing the good. 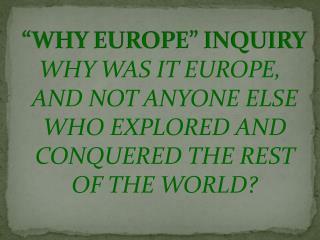 Questions we Usually Ask. 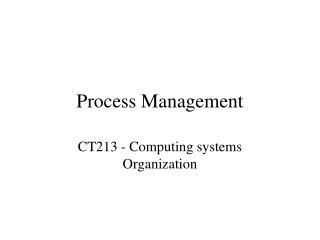 What is wrong or broken around here?. 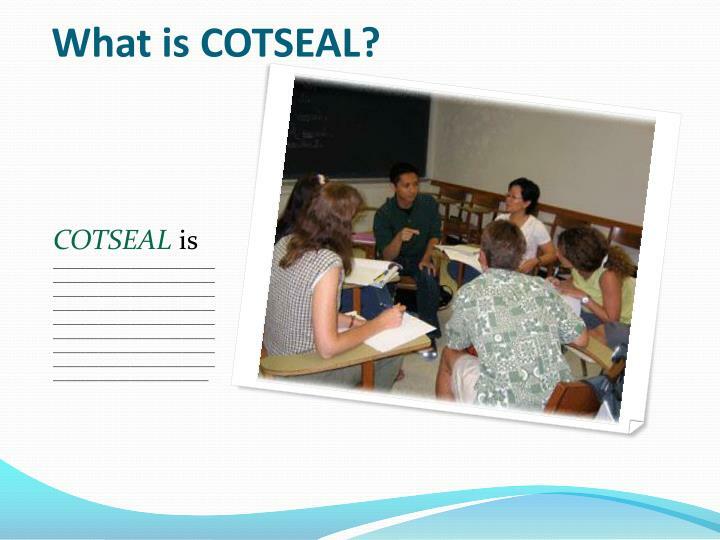 How do we extend, strengthen and preserve COTSEAL?. 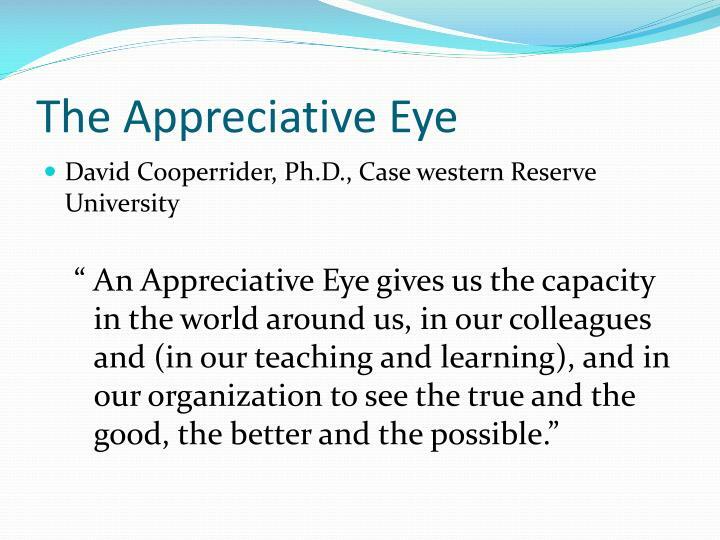 The Appreciative Eye. 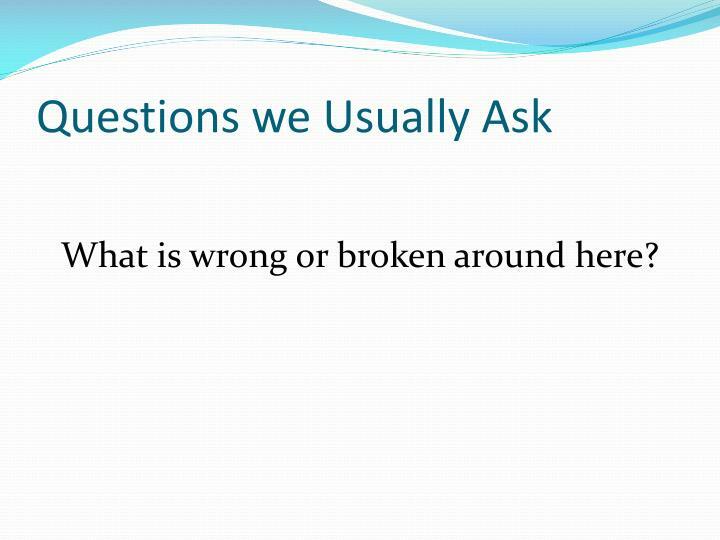 What is wrong or broken around here? 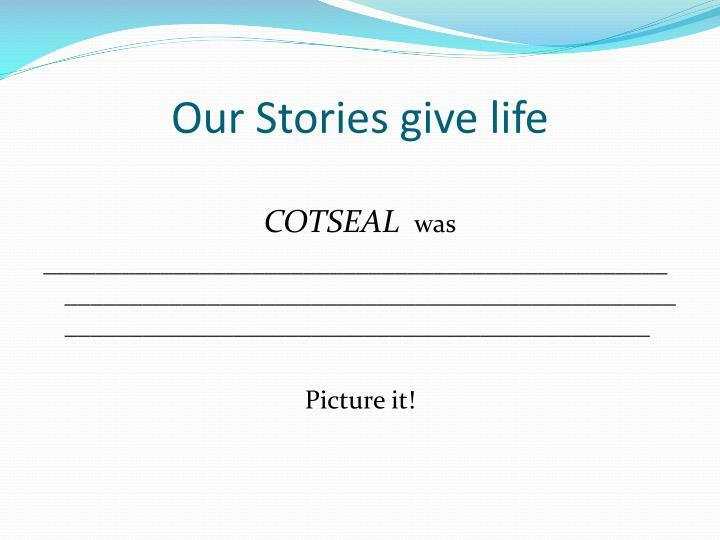 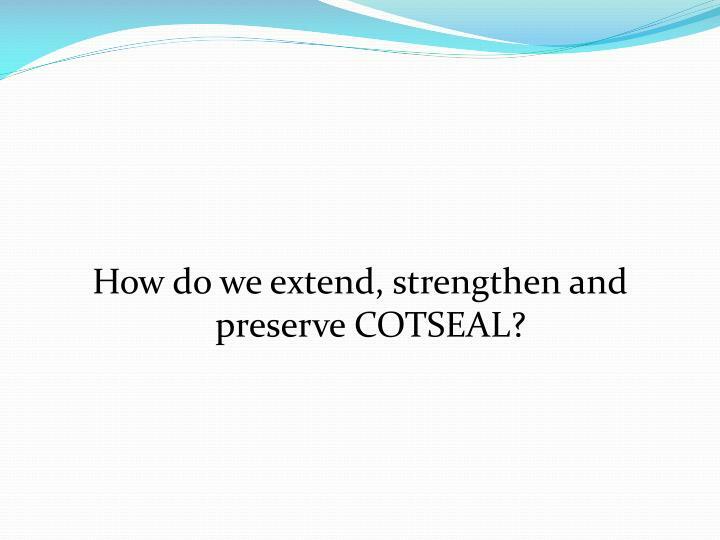 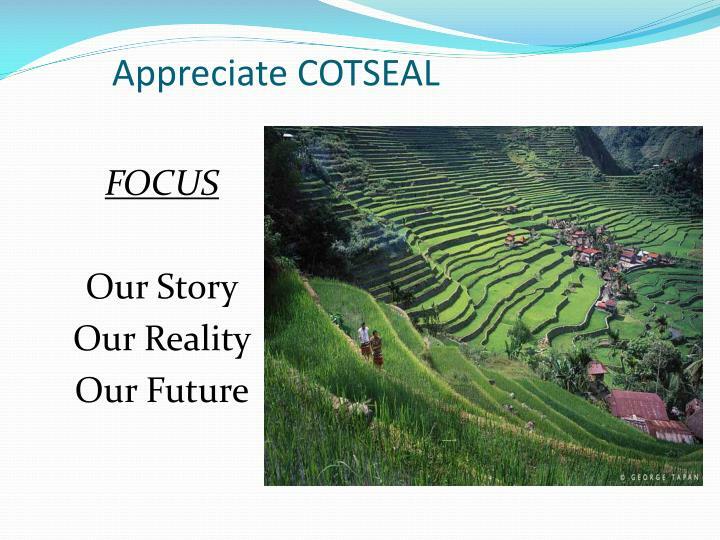 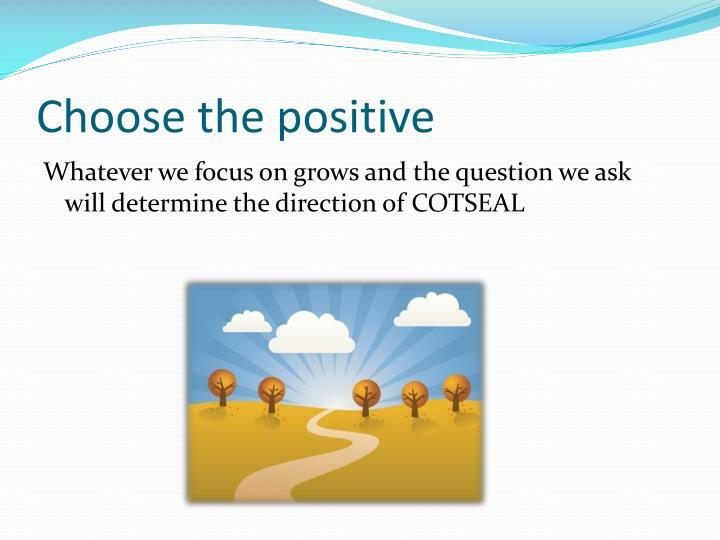 How do we extend, strengthen and preserve COTSEAL? 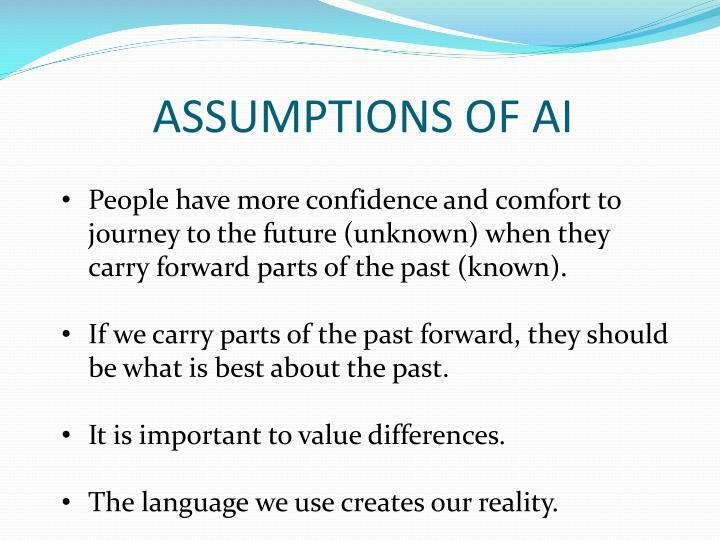 What are the Assumptions of AI? 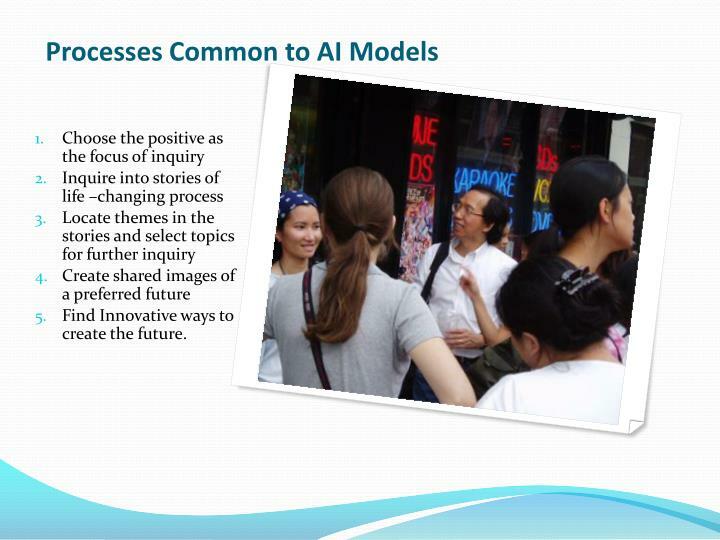 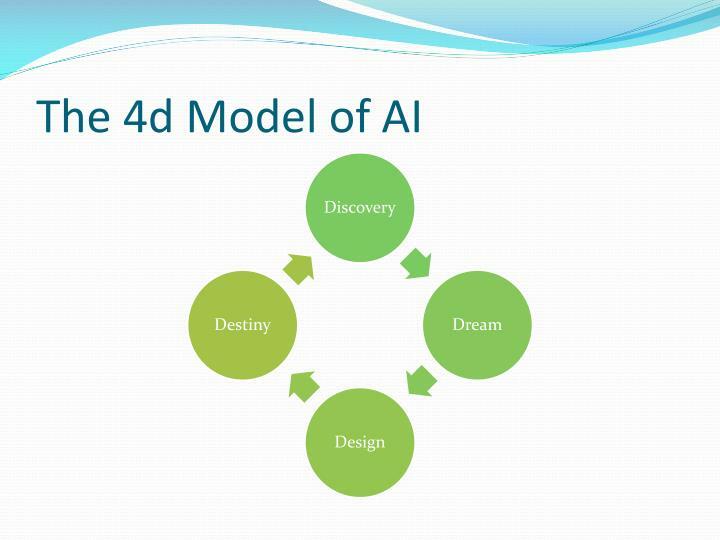 What are the processes of AI? 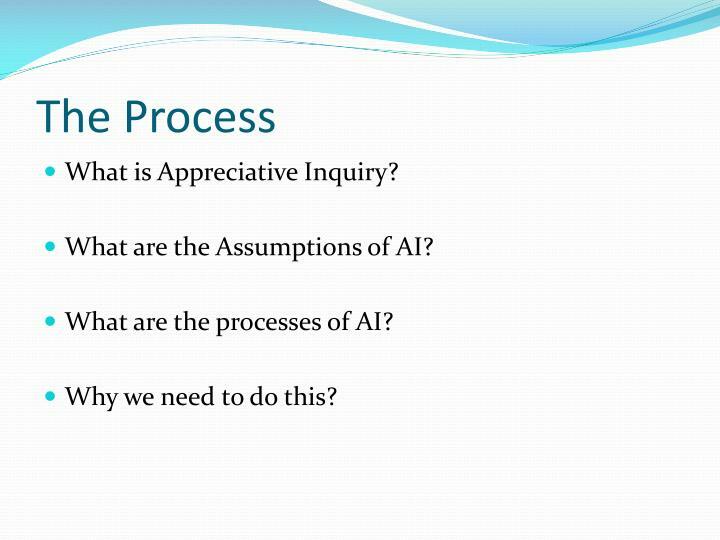 AI involves making a very conscious and deliberate choice: to ask only positive questions when we seek to understand what is needed to make life better in organizations; we want to ensure that the very act of our asking questions causes what is best about the organization to appreciate. 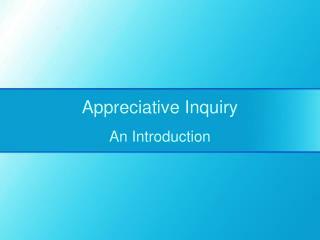 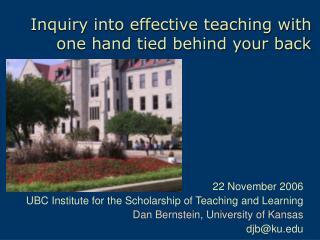 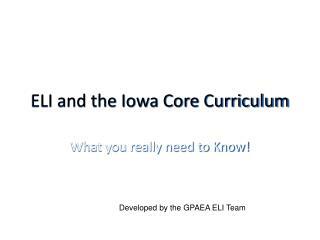 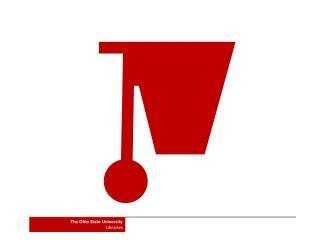 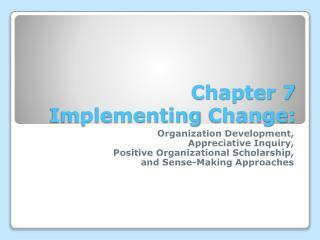 to ensure that the very act of our asking questions causes what is best about the organization to appreciate. 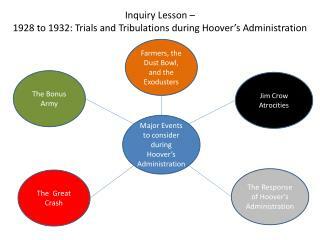 In every organization or group, something works. 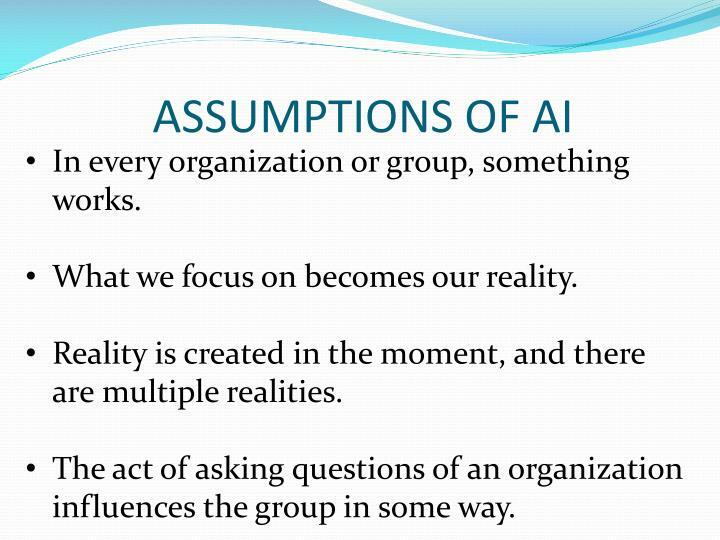 Reality is created in the moment, and there are multiple realities. 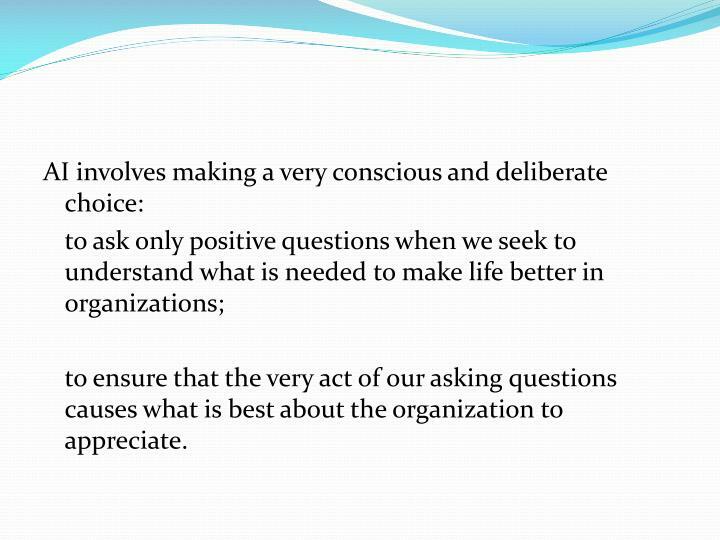 The act of asking questions of an organization influences the group in some way. 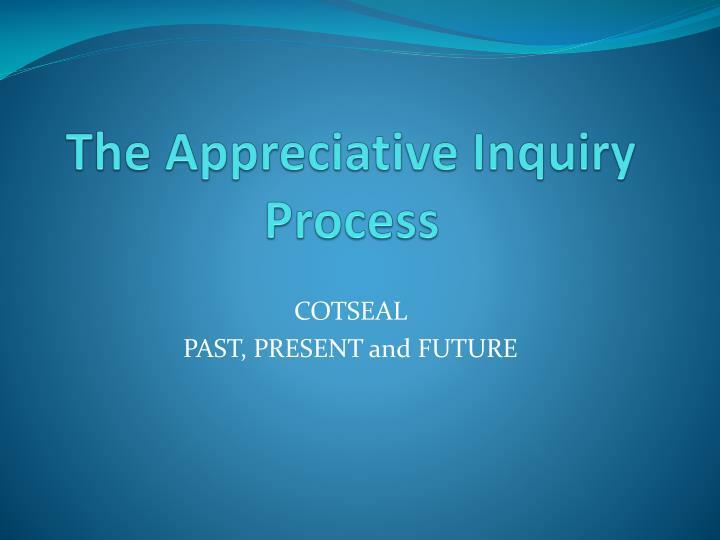 People have more confidence and comfort to journey to the future (unknown) when they carry forward parts of the past (known). 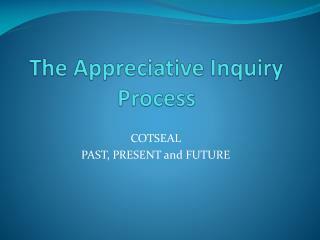 If we carry parts of the past forward, they should be what is best about the past. 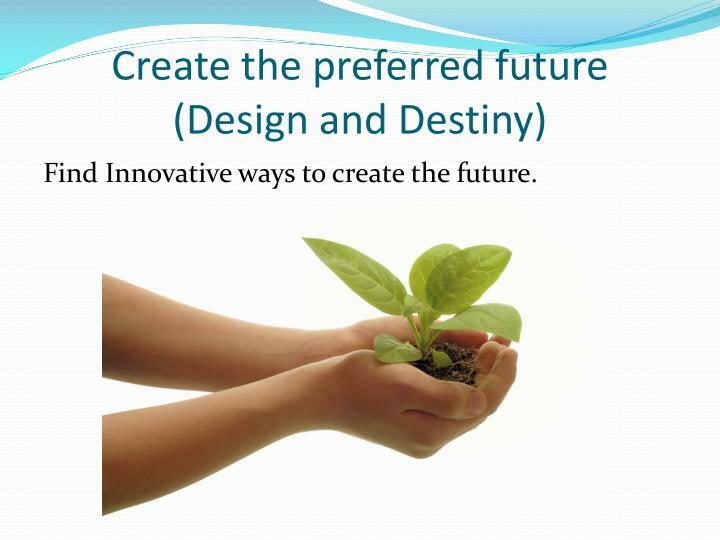 Find Innovative ways to create the future. 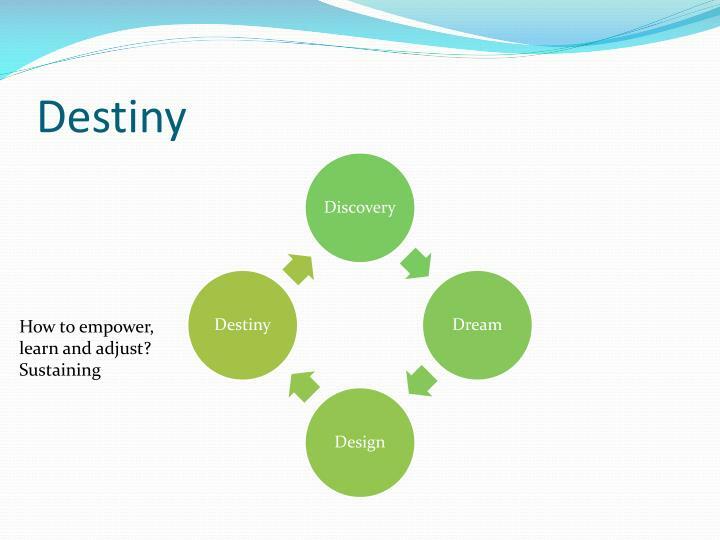 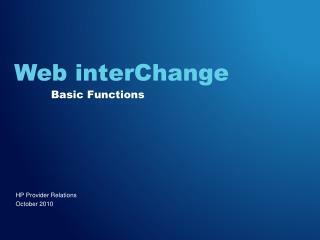 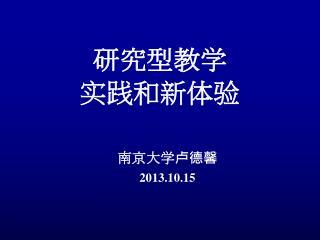 How to empower, learn and adjust? 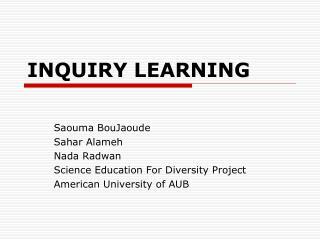 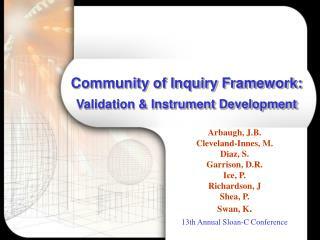 Community of Inquiry Framework: Validation & Instrument Development -Community of inquiry framework: validation &amp; instrument development. 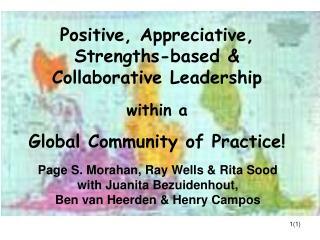 arbaugh, j.b. cleveland-innes, m. diaz, s. garrison, d.r. 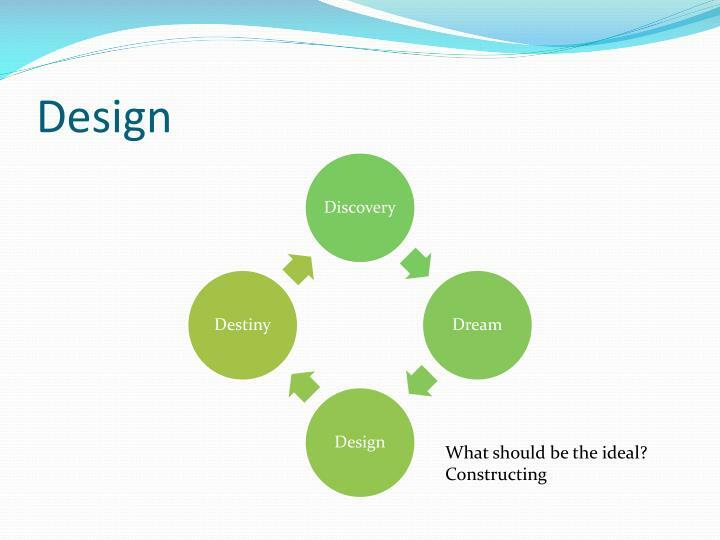 ice, p. richardson, j shea, p.
By: Ronald F. White, Ph.D Professor of Philosophy College of Mount St. Joseph -Moral theories. 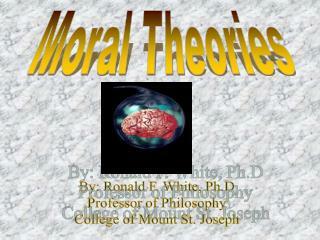 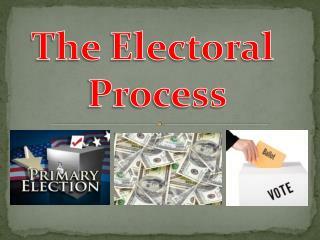 by: ronald f. white, ph.d professor of philosophy college of mount st. joseph. 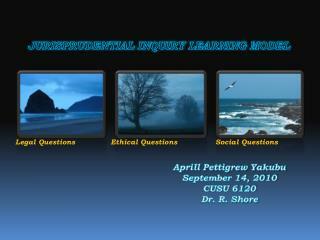 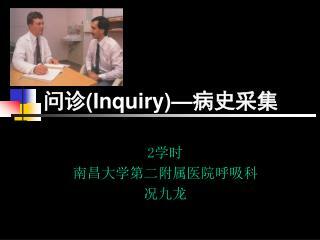 human inquiry. 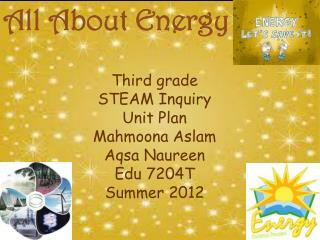 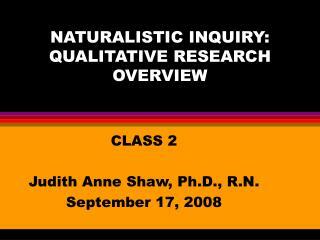 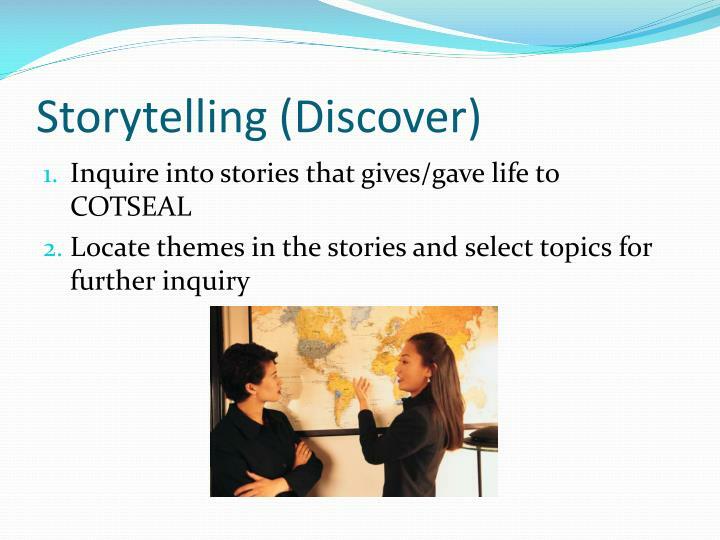 theories- descriptive inquiry scientific theories v.